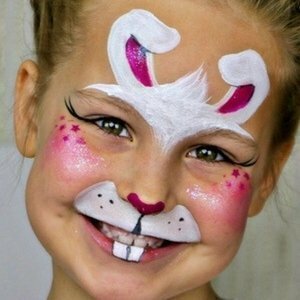 We offer the most effective course for improving your face painting skills. 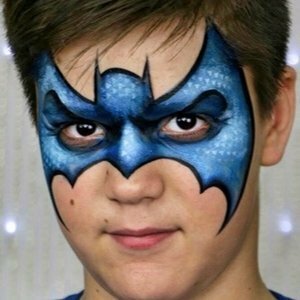 With proven techniques you'll learn everything you need to know to boost your face painting career. Study the theory Set a solid theoretical fundament and become confident of gained knowledge. 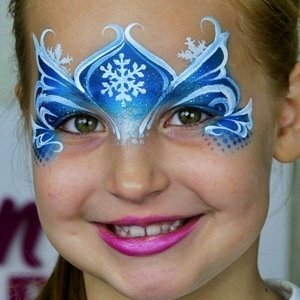 Polish your skills Sharpen your skills and improve your knowledge of the industry by mastering face painting techniques. 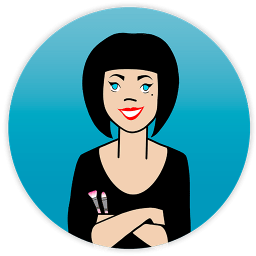 Learn 45 designs Nail 45 carefully selected designs, that will help you master perfect placement and will teach you how to create your own beautiful balanced designs. Perform tasks & tests Solidify your knowledge and gained skills by performing practical tasks and quiz-tests. Get individual tutoring Elite feature Get valuable feedback from the tutor that will help you understand your mistakes and how to fix them for a fast improvement. group and webinars Connect with your classmates, discuss learned material, address more questions and get answers and simply have fun! Get certified Get a unique Diploma of graduation with a special Badge, that will confirm your new status of a Certified Face Painter. 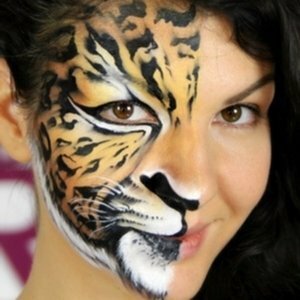 Become a Pro Boost your face painting career and become a professional in the industry. The goal of this course is to help you unlock your hidden talents. Yes, we will push you beyond your limits and it will certainly be a challenge, but we promise, if you are ready to grow, you'll find great value and come back for more. 30 core modules, 265 illustrations & schemes, 76 video-lessons, 17 evaluation tests. 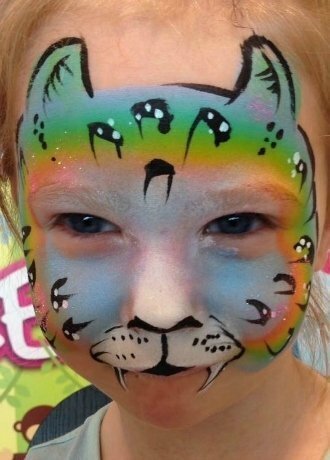 The goal of this face painting course is to make you gain confidence in your skills, discover your talents and bring your professionalism to a new level. There is no risk — if you are not satisfied with the results, I guarantee you 100% money back. 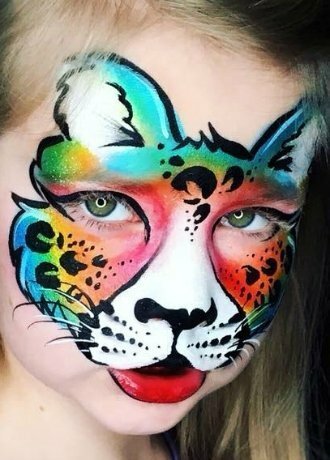 This face painting course combines theoretical basics, visual guidance and practical tasks with quiz tests that will help you sharpen your skills and improve your knowledge of the industry, all while building your face paint portfolio with a wide range of popular designs. Our private group and webinars are a great opportunity to share the experience with your classmates, connect, and encourage each other. Also to simply to have fun! You can always rely on me, your tutor, to provide you with valuable feedback — something impossible to achieve from watching face painting videos or following step-by-steps in books. 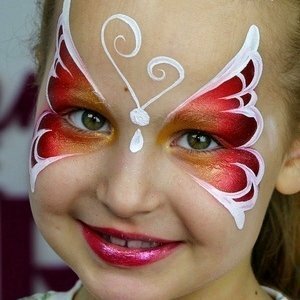 This Course of face painting classes is based on a proven step-by-step method, tested by dozens of students, that have already built their successful careers in face painting. 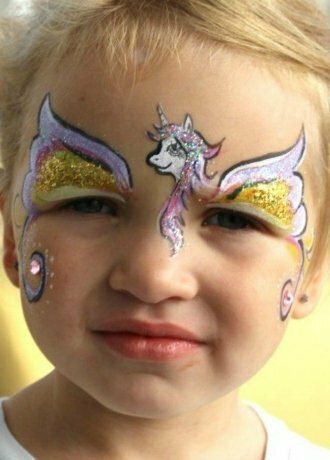 It contains all the necessary and relevant information a face painter should possess. 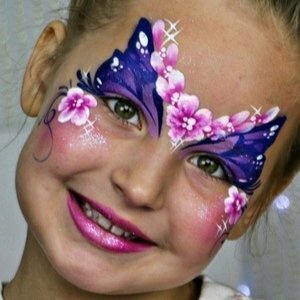 After successful completion of the studies in the International Face Painting School, you will get certified. You will get an exceptional diploma, which will become your reward for all the hard work during the studies and confirmation of that you’ve reached the top professional level. The access to the Course can be made from any device, 24/7 and from any place on the planet. You can playback any of the modules anytime you wish now and forever. We won't teach you how to be a carbon copy of someone else. Our goal is to teach you how to find your own creative flow, how to be an original you. I'm now a proud graduate of the School and a certified face painter. This has been a wonderful journey! And I would love to thank you, Olga for this amazing training! 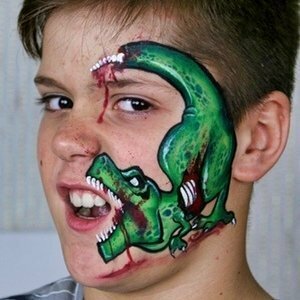 I've grown even more fond of face painting now. The knowledge about the types of paint, how to use them, the schemes and the explanations in combination with a slow video are much more worth than any video-tutorial, which don't provide such a flood of background information. One of my dreams have been to teach the art of face painting, and thanks to the School this dream has now come true! It helped me become more confident in my skills and develop them further. Enrolling in School is by far the best decision I made in years! This training helped me drastically improve my skills and gain confidence in myself. And I also met new friends! 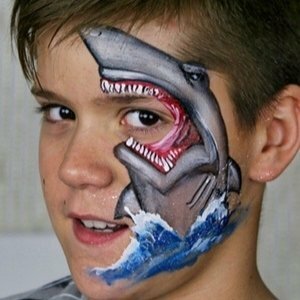 It’s been 4 years since I first began face painting. What I gained by doing School… I would say everything! 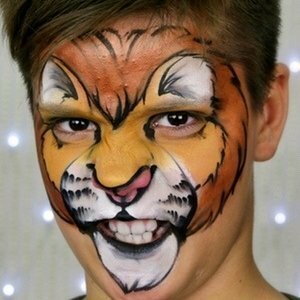 This training is, for me, the Bible of face painting. We learn a lot of things that can not be found anywhere else. 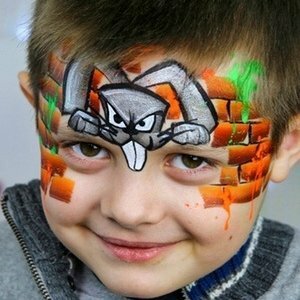 There are no divisions for beginners and experienced face painters here. 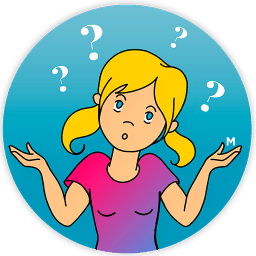 The information is structured according to principle: WHAT supplies you need, HOW to use them and WHAT KIND of designs can be created with the gained skills. 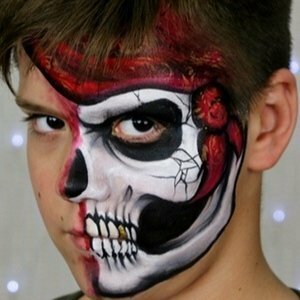 If you have never painted before or you are a beginner and just discovered the spellbinding world of face painting, this is your chance to learn professional-level skills. Anyone at any skill level can learn. 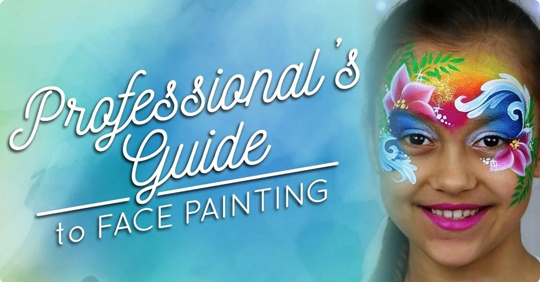 This online course is a face painting encyclopedia and an absolute beginner's MUST HAVE. If you are already in the industry, but you aren't satisfied with your technique and you're tired of copying others… If you feel you've learned all you can from YouTube tutorials and you're stuck… This course will help you understand your mistakes and will guide you on the right path. Here you'll take your skills to a new level and will find your own style. 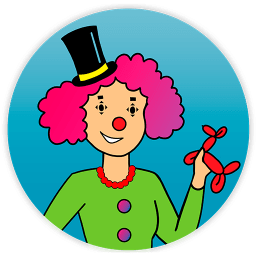 If you are an entertainer or clown, this is your chance to stand out from the crowd and become competitive in your market. 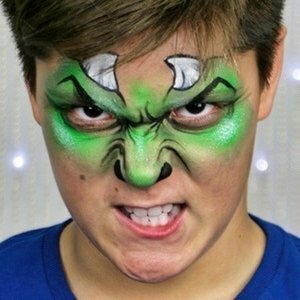 You'll find out everything you need to know about the best tools that give instant results and will master specific face painting techniques that will help you create impressive designs in no time! If you are a makeup artist, this is your opportunity to expand the variety of services that you offer to your clients and stand out from the crowd. 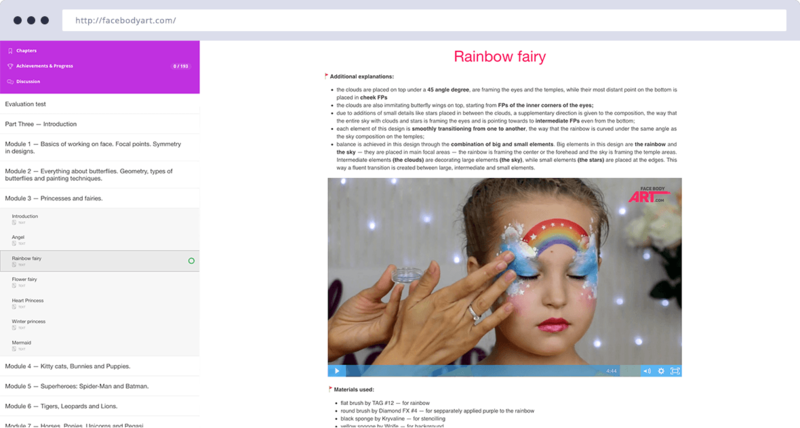 Here you will set a solid theoretical fundament and will master all necessary techniques that will help you combine them with makeup and obtain the most impressive and exquisite results. 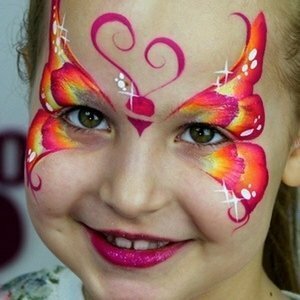 If you are an experienced artist and you want to become a face painting instructor, but you lack confidence and understanding on how to correctly and adequately teach what you know, this course is exactly what you need! You will gain confidence in your skills and will find out how to build an effective educational program for your students. 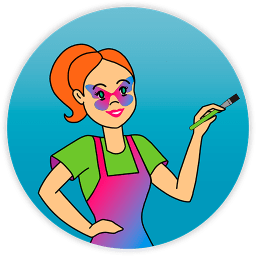 Our School certified instructors, Kristin Olsson and Annabel Hoogeveen, under the chief-instructor Olga Murasev, have helped dozens of people just like you all over the world polish their skills and become confident face painters. We are committed to helping you achieve your goals! We will guide you through this amazing and fun adventure: from the beginning to creating your own designs and your final exam. 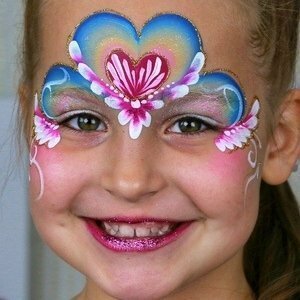 Upon its successful completion, you’ll receive your Diploma of Graduation in face painting, fully accredited by the International Accreditation Organization. Take a Look, You’ll Like it! Set a solid base of knowledge and sharpen your skills through regular practice. Get access to the most complete and actual information. 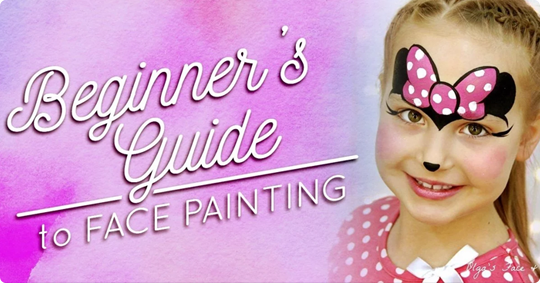 Watch high-quality video-lessons of face painting in Full HD anytime, from any place in the world, on any device. I was IMPRESSED almost immediately when I looked at Olga's program. There is so much info in this Course! 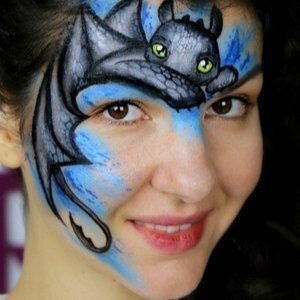 Olga is certainly one of the top face painters in the world and has now demonstrated why. She has researched this business to the end and has presented it a user friendly format that everyone can learn from. 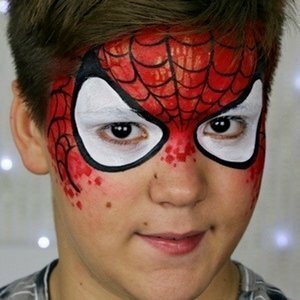 If you are serious about becoming the best face paint artist you can be, then this course is EXACTLY WHAT YOU NEED to put you on a solid path to success! Olga has gathered and organized so much information that until now could only be learned the hard way, by trial and error! This course saves you a lot of time, money and frustration! 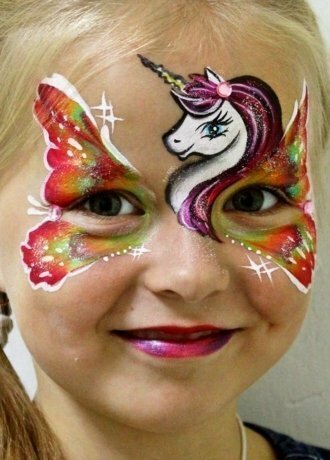 I can say with all sincerity that I have never seen as comprehensive a face painting course, as what Olga has developed here. The range of information that is presented, is INCREDIBLE. There is nothing out there that goes into as in-depth detail as this course. I recommend this course to painters of all skill levels. The most valuable solution on the market, with an amount of information equal to 30 day-long live workshops. 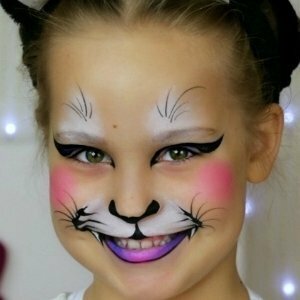 Our School certified instructor will check each of your tasks and will give you valuable feedback on how to fix your mistakes, how to improve your designs and how to become a top-rated professional face painter. 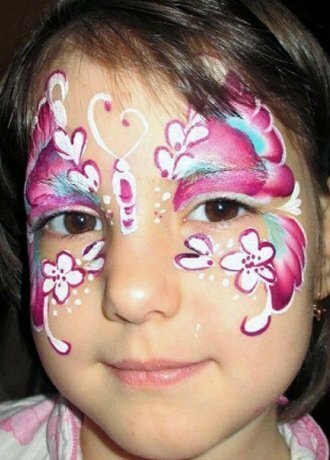 Accredited by IAO (International Accreditation Organization) and delivered to your home, will prove your qualification as a true professional in face painting. 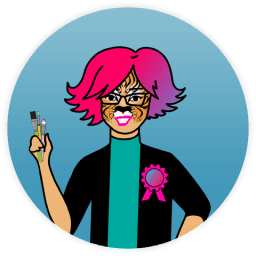 ③ e-Badge "Certified Face Painter"
Exclusive School Sign that can be used as a watermark on your artwork and on your website. 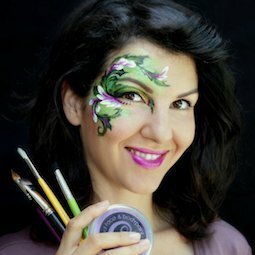 I was asked a few times: "Would you recommend studying at the International Face Painting School with Olga Murasev?" I can say: "Definitely: Yes!" Studying at the IntFPS is not just easy done. It is absolutely not comparable to copying one of the many free tutorials or paid videos, even though these are partially explained well. In the IntFPS you will learn background and theory from the very beginning. And when the basics are done, it gets intensive. You can expect a lot of content with practical exercises, which have to be taken by an always very friendly, but quite strict teacher, because Olga is caring about you learning a lot. In the ELITE course - which is worth every penny, and which I can absolutely recommend! - you get an individual and personal feedback for each painting done, with the mistakes analyzed and with instructions on how to avoid them. It is a really great workout, which far exceeded my expectations. I do not believe there is anything else in this intensity available. Sure the most extensive training you can get. I love working with Kristin! 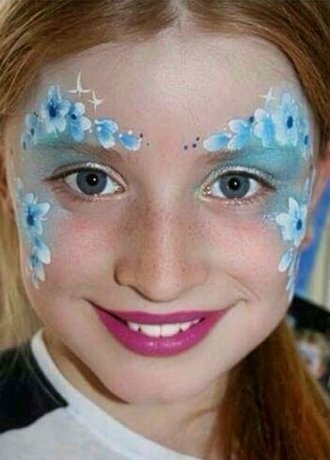 When she reviews my homework for the International Face Painting School, she is so thorough and really helps me build off of each mistake and each success. The art she produces is INCREDIBLE! I hope to be able to glean even a teensy bit of her ability through working with her. Her kindness and love she puts into everything she does are so inspiring and I am very thankful to know her! I've been painting professionally for 18 months and today was my first party since starting the course, it was amazing how much better my brush strokes were, by really focusing on activating my paints to a creamy consistency before painting with them. Thank you Olga! 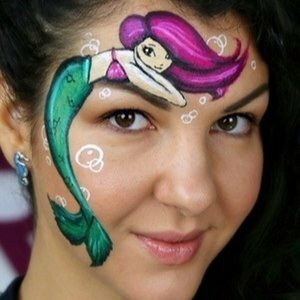 Kristin is my teacher at the International Face painting School and I must tell you she is a fabulous teacher! She is the reason I've progressed the way I have. She works with me and goes the extra mile and a half to help me understand how to do a particular task. I'd give her a million stars if I could!!! Olga's School is absolutely fantastic. 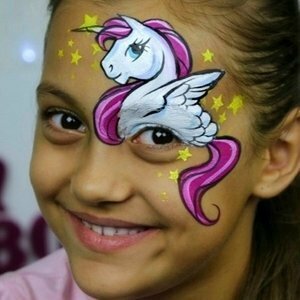 You can find all about face painting there, and Olga is such a kind and attentive teacher. I love it!! Totally recommended!! Enrolling in The International Face Painting school is by far the best decision I made in years!! 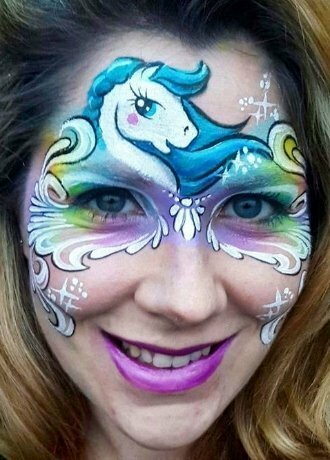 I have been a face painter for quite some time, owning my own business in face painting and teaching others how to face paint. 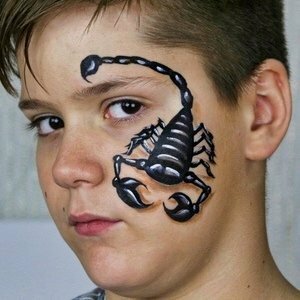 In past years I attended a lot of workshops from very talented face painters, and each time a learned something. But never did I learn as much as I learned in this school from Olga. 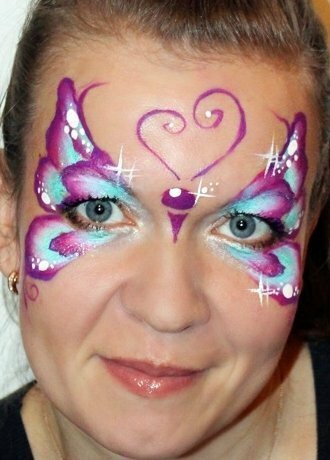 The curriculum is covering every important aspect of face painting en Olga was for me the perfect teacher: inspiring, encouraging but firm. She challenged me to explore things, way outside my safe boundaries. It was sometimes scary but very rewarding. And this process is still going on, even now I have graduated as an honor student. Like I said before: enrolling was the best decision I made. It gave myself this beautiful gift and I love it. Thank you so much Olga for making this happen! I have attended this school in a beginner capacity and I have grown and developed so much as a face painter. It is essential to perfect the basics first, in line work, paint usage and then design structure. 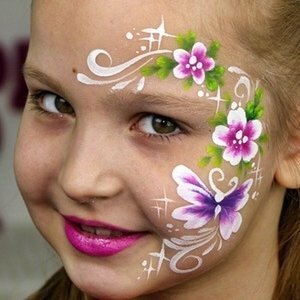 This course enables you to do all this and end up an accomplished and confident face painter. I highly recommend it and the value for money is exceptional. Olga is an amazing artist and I continue to enjoy learning from her. 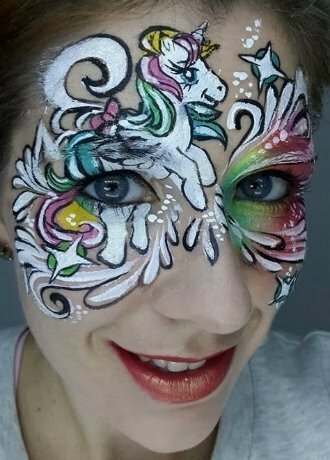 Now that I graduated, I'd like to tell a bit more about the International Face Painting School: The content of the course is phenomenal, very thorough and contains really ALL there is to know if you want to become a real pro! It's building up skills in a very clever way. The use of the software is very functional, and kept up to date all the time. To graduate, you have to be dedicated, the final exam is not something to take lightly, but what a reward it is to get the Diploma! And this is where Olga's talent comes in: not only her amazing artistic skills, but equally her way of dealing with people. Olga keeps pushing her students in a very sweet and gentle way. I know of no one else who has this ability to point out mistakes in a way you don't feel bad about it, but get inspired to try and try again, because practice makes perfect. 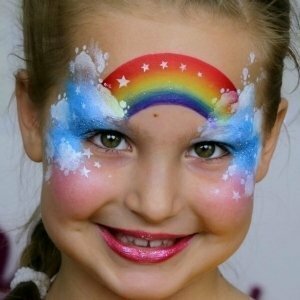 So not only do you become a great face painter, but you also get to have this wonderful person as a teacher! Not forgetting all of the other students from all over the world, who are a great community as well! I want to say how proud I am to be able to study under the incredibly talented Olga Murasev. She is very strict, and requires students to do a very good job on each skill. It has improved my painting so much to try & really get each module thoroughly mastered. 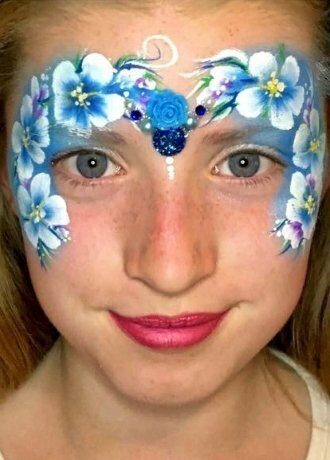 High praises for the International Face Painting School.